Mark and Rob are joined by guest host Randy to discuss the latest goings on in the Xbox gaming world. The guys start up the show by talking about what they’ve been playing lately. Evolve Alpha hit the scene recently so the guys start off with that. Then they go on to touch on Sunset Overdrive and what a blast it’s been to play. Then Rob gets pleasantly surprised by Chariot which was the free Games with Gold game from October 2014. Moving on to the news for the week, Rob covers some of the new releases available for pre-order and pre-loading. The newly discounted holiday bundles are now out and include Assassin’s Creed, Sunset Overdrive and Call of Duty Advanced Warfare bundles. A report was recently released that showed male vs. female gaming habits and what their preferences are. Make sure to give that a listen as the results are somewhat surprising to hear. 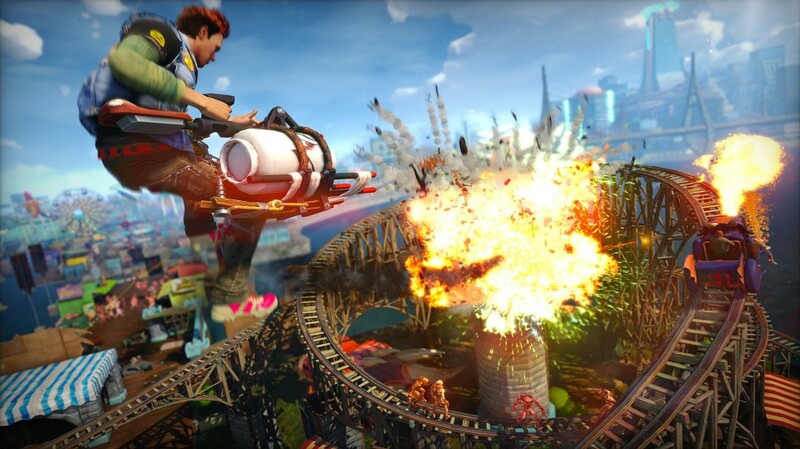 For the roundtable discussions this week the guys talk about Sunset Overdrive yet again and did it live up to the hype that it’s been getting over the past few months. Next up is the fate of the Call of Duty franchise and is Activision hurting it by having yearly releases. Is too much of a good thing a bad thing? Last up is how do we all feel about the recent moved by Bungie to short change Xbox owners with downloadable content for Destiny. Does Bungie hate the Xbox even though Microsoft/Xbox has made them a runaway hit by launching the popular Halo series? Then the show is finished up with a listener voice-mail from catflap1970 regarding headsets for the Xbox One. Great show this week guys. The guest host was awesome and I hope you do that more often. Near the end of the show you were discussing Wireless headsets. Could you share links with those recommendations? Here are some links we were talking about. My only problem with this episode is you blaming bungie when your anger should be aimed at ACTIVISION. you guys acknowledged it was Activision months ago, Bungie is not a publisher. I’m a bungie fan who went to ps4 (recently picked up sunset over drive bundle, great game) I’ve been following this game, we in the gaming community(primarily on neogaf/gamefaq and bungie site) have known about this dlc exclusivity since july/August. End of the day, ACTIVISION goes to Microsoft for COD, and Sony for Destiny, hate ACTIVISION, not Bungie.